It is often difficult to always be a positive caregiver but that is exactly what we should all strive to be. Positivity is not only good for ourselves, but for our patients as well. What is the actual definition of positive? According to the Merriam-Webster dictionary, it means thinking about the good qualities of someone or something. It also says it means thinking that a good result will happen. It can't get much clearer than that, being positive is an excellent personality trait to have especially as a caregiver. In this field, you will struggle twice as much without it. You may be thinking, I already know this. You very well may, but sometimes it helps to be reminded. If you are a negative thinker and know this, then you know that you should make a change and be more positive. It isn't easy by any means to always look at the bright side of everything. Some people struggle being positive more than others depending on their personality. I sometimes struggle with this trait myself. I am constantly trying to improve my way of looking at things because I know how important it is. Some people seem to have this trait naturally. No matter what happens, they always seem to turn it into something good. These types of people are often criticized because of this. The reality is, the people doing the criticizing are the very ones that should take notes. In my opinion, I think those people are usually jealous of their happiness. They tell themselves that isn't the normal way to act so there is something wrong with them. It's their way of coping with the fact that they often think negatively. I definitely know being a positive caregiver is easier said than done. Like I said, I often struggle with this myself, but that doesn't mean I'm going to stop trying to be a better person. No matter how down I get, I always try to pick myself back up. Being a positive caregiver is an ongoing way of thinking. You don't just reach a certain point and everything goes perfect from then on. The difficulty lies in the fact that you have to keep working at it. As a caregiver, there will always be things that can easily get you down. As cliche as it sounds, the idea is to simply look at the bright side. There is a positive side to every situation and that should be your key focus. As strange as it sounds, some people actually enjoy being negative. It makes them feel like their life is more interesting if there is some kind of drama going on. Other people use negativity in the form of excuses as to why their life is not going the way they believe it should be. You may think this way and not even know it. Many people who are always down in the dumps choose to just accept the fact that they will never find happiness. The fact is, anybody can reverse their negative way of thinking. It's certainly easier said than done, but still possible. Negativity is something that your patients do not need. This kind of thinking will only make your patients, who are already going through a difficult time, feel worse. When patients are depressed, it slows down or completely reverses the healing process which worsens their condition. Thinking positively and having a will to live will cause them to heal faster. This applies both physically and mentally. Even if a patient has a condition that isn't expected to get better, it will definitely cause their condition to worsen more slowly. 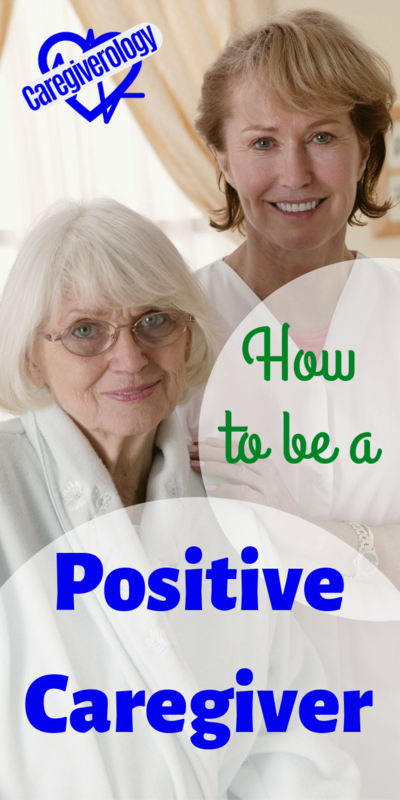 Positivity makes caregiver communication that much easier. Nobody likes to work with a sour person. Your coworkers will better appreciate the work you do if your attitude proves that you are there for more than just a paycheck. Never fake the attitude of being a positive caregiver. Just like faking being a confident caregiver, your patients can tell the difference. Faking such things only fools yourself into thinking nobody knows what you are really thinking. Caregiver depression and stress makes avoiding negativity impossible. They all go hand in hand. So if you suffer from one, you often suffer from all of them. The key is to get these feelings under control before they consume you. Do whatever it takes. These inspirational quotes may help lift your spirits when you're feeling down. Smiling may seem like something small and silly, but it can make all the difference in the world when interacting with a patient. Why write a whole section about it? Because I believe it is that important. What is the Patient Thinking? 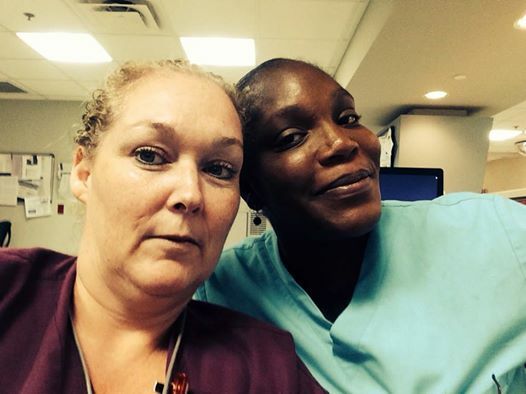 Many caregivers never even crack a slight grin while working with their patients. They seem to just be going through the motions and never show the slightest enthusiasm for the care they give. What does this tell the patient? It makes them think that they are insignificant to the person who is in charge of their care. It makes them feel as if their helper is only there for a paycheck and sadly, they might be right. This in turn causes them to feel like a bother even if they really need assistance. They may even feel as if they did something wrong even if they are one of the most easy going patients. Your patients should never feel this way even if they are needy. If you go into their room with a blank expression on your face when you introduce yourself and explain to them what you are there to do, they won't even want you to do it. People don't want another person's help if they feel that person doesn't want to help them in the first place. This isn't good for someone who really needs your care. They may even refuse to have you care for them and rightfully so. You may be very competent with your job and give excellent physical care, but emotional care matters as well. I've heard of people using this to their advantage if they don't want to care for a specific patient. Don't be that person. In the end, you're the one who looks bad. You may avoid caring for that patient, but at what cost? People will catch on and they will notice if you are this kind of employee. Do it enough and you just might lose your job. What if the patient is clearly in a bad mood? This situation can be a tricky one because if they are upset with another employee or the facility as a whole, smiling can appear to be mocking or making fun of their issue. On the other hand, if they are upset about something completely unrelated to you, the staff, or the facility, being cheerful may help ease their frustration or at least get their mind on something else. Even so, still be careful not to appear to be poking fun at their problem. Just ask them what's wrong, apologize, even if it's something out of your control, and do what you can to fix the problem. 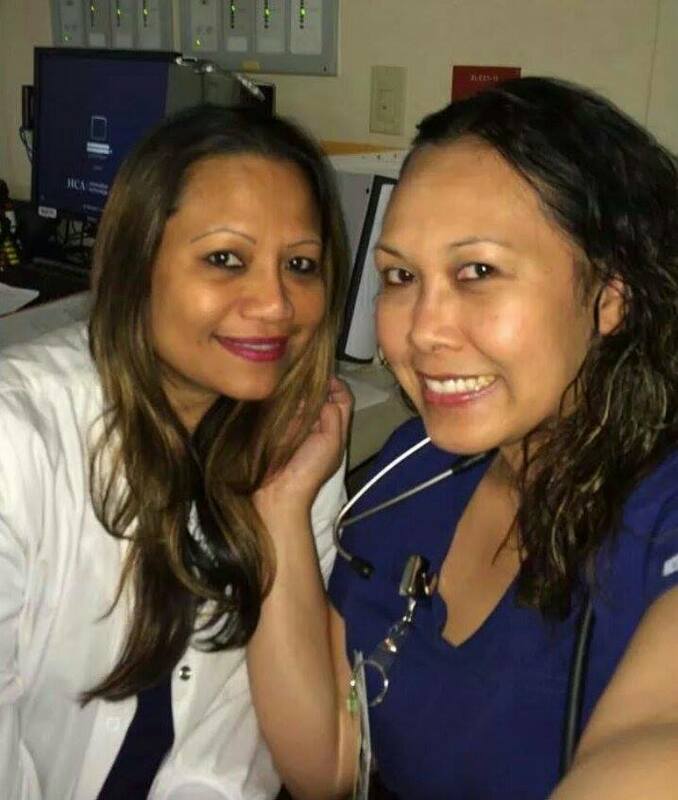 While some patients will still take their frustration out on you, others will appreciate your kindness and may even thank you for your consideration. What if they are upset or depressed about something? Again, this can be a tricky situation but it is still possible in many cases to cheer them up with kind words and a smile. The goal is to make them smile right back at you. Some patients like to have others around to sympathize with them while others want to be left completely alone. Either way, there's no harm in asking them if there is anything you can do to help make them feel better. I've had many patients who have told me that they appreciate my bedside manner. They have mentioned how kind I am and have said they can tell that I enjoy my job. Nothing says you enjoy what you do more than smiling while you do it. Smiling really can make a person's day. It's such a simple and easy thing to do. Of course it's not always easy but the more you do it, the more natural it will become. Before you know it, you won't even realize your doing it until someone mentions how happy you look, which will often make them smile right along with you.